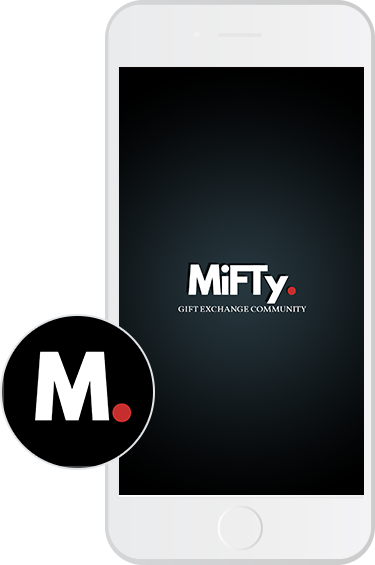 MiFTY is a gift exchanging iOS mobile application that helps to create the occasion boards for adding different gifts, that user likes to receive from family and friends. In any occasion it may happen that, the received gifts spoils the mood. So, to avoid such scenario, MiFTY was developed which makes the use of Share Plug-in to add gift images to the gift portal and is designed in a way that others can have access of private (if added) and public board to know the details about the gift added . The gifts already bought are marked as purchased so that it refrains others from buying the same thing. The developed mobile app helps to get the most wished gifts that user requires on their special occasion. Even if mentioned “no gifts” on the invitation card, your guest will buy for you the gift which you may like or not like. People who are close to you will buy you the valuable gifts but unfortunately you may have no space for and in-turn you find difficult to figure it out. Many gifts cannot be returned and you end up with the bunch of gifts that simply not belonged to your home. To get the gifts that they really want: Most of the times, people just buy what they want, without really considering the needs of the host. However, the client wished for centralization where guest know exactly what the host needs, thereby minimizing the risk of getting unwanted gifts. To widen the shopping options for the guest: With a centralized mobile app, the user won’t have to explain the guest the likes and dislikes of the gifts. It enables the guest to choose what user wants within their budget. Just user have to do is pick the gift and place them on the board with the Name, Image and other Gift Details. Client wanted to solve this problem by asking their users to download a gift exchanging mobile app that provides convenience of easy gifting for the host. So, Tops Infosolutions developed an iOS mobile application that enables hassle-free gifting by integrating all the intuitive features that can entice the users. 2. Find the friend with the search function (but the person should be a MiFTY user). Public: Everybody in the network can see what gifts user requires. User can add gifts images to the Gift portal by using Share Plug-in; they needs to select 3 images which will be added in the occasion board. The developed mobile app automatically takes the gift name, the purchased URL & images and cost & description are to be added manually. User can anytime edit the gift details in draft and published board. The client wished for easy integration and end-to end functionality so with our learning algorithms and best practices, we built the mobile app in a way to assure that, the client remains a market leader in gifting space. The developed iOS mobile app provided a unique solution to solve all the problems of giving gifts for any occasion. With, easy to use interface, MiFTY made sure that everyone in the group is connected through the gift item and there is no need to call asking “ what about this” or “ did you already get this” etc. With this mobile app, the client was highly satisfied as he made the profitable business and exactly worked the same that he looked for.